Moon Cycles and Manifestation: Guest Blog Post by Michelle Peticolas Ph.D.
My recent teleconference call with Marina Ormes RN, HN-BC was titled “Creating Reality on Purpose with Moon Cycles.” The emphasis, however, is on the creating or manifesting not the astrology. 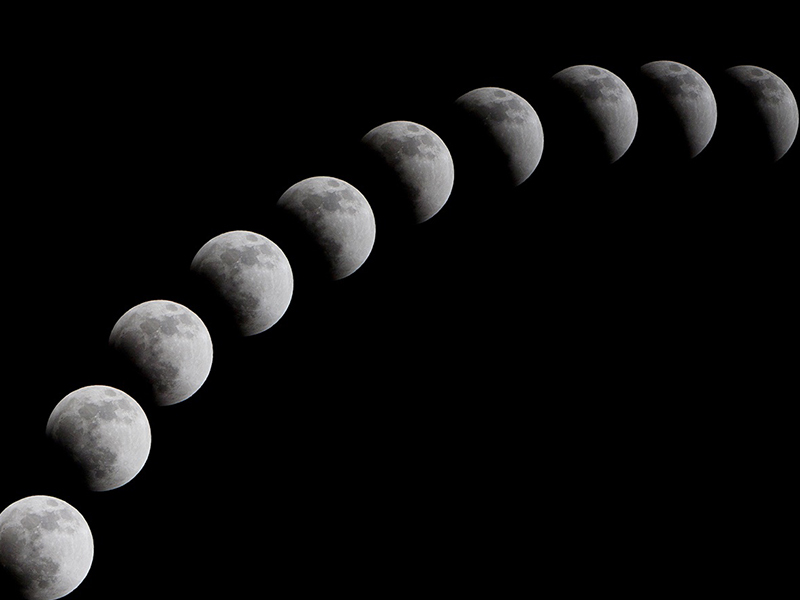 The moon cycle is a container, a system for practicing our creating. The moon’s cycle of waxing and waning reminds us of the natural cycle of expansion and contraction, breathing in and breathing out, life and death. When we align our intentions with this cycle, we turbocharge our power of creation with the force of this celestial energy, this natural cycle of action and rest. Let’s talk about manifestation for a moment. We manifest all the time, mostly unconsciously and often times with negative thoughts which create exactly what we don’t want. It is what we were taught as children — watch out for this, beware of that, take the safe path, you can’t be too careful, it’s the things you don’t worry about that go wrong. Whew! What a different world it would be if instead we were encouraged as children to recognize and utilize our powers of intention. I did exactly this with my nephew the other day when he magically met up with his cousin in San Francisco. He didn’t even know that’s where his cousin worked. He just ran into him on the street. What are the chances? But all along he had been wanting to see his cousin. His desire was strong. Then, an hour later he was at the right place at the right time to meet my husband and me at the Ferry terminal just when we were leaving. We were supposed to meet, but he was 30 minutes late and we hadn’t been able to reach him by phone because, as it turns out, his phone battery had died. We had given up. Or maybe the power of his intention had caused us to move at exactly the right moment. What are the chances of us meeting? He had just arrived at the moment we were passing and saw us. Both my husband and I praised him for his ability to pull this off and shared the story with several others. I hope he takes it in. I hope he learns something. What I love about Marina’s program, is that it causes me to think about what I want twice a month. Mastery is all about practice and that’s what her monthly program is forcing me to do. What’s more, she helps us to hone our intentions. She says don’t be too specific, e.g. “I want a thousand dollars.” Instead, focus on the feeling that we wish to have, e.g. “I want to feel safe and financially secure.” This leaves it open for the universe to provide in a multiplicity of ways just what we need most. This month I tried out the manifesting. At the new moon, I set my intention “to feel more financially secure.” Marina tells us to set our intention at the new moon and then see what shows up at the full moon. What showed up for me were a lot of stories about insecurity!! My niece is desperate to change apartments but has no where near the amount of money she needs to pull it off in San Francisco. Shortly after, I spoke with my cousin who recently moved to Oakland because he can no longer afford to live in the San Francisco. Also he went back to a regular job because he can’t make enough money as a freelancer. Then yesterday, a woman walked up to me on street, while I was eating an ice cream cone with my nephew and husband, and started talking about how awful the economy is and how young people can’t make enough money to live on their own and they all need to study computer to get good paying jobs. Wow! What does this all mean? What is the universe telling me? Should I stop trying to build my own business. Should I go back to working for someone else? Is it too dangerous out there? Is it even possible to get a good paying job? This morning I got the meaning — these are my sparring partners. These people have shown up to help me refine and strengthen my intentions and my thoughts. When we are working on a new skill we need to test it and challenge it, in order to develop, refine and strengthen it. By meeting with these “sparring partners,” my mind was pulled back into an old pattern of thinking, e.g. the world is unsafe, dangerous, and unsupportive. These thoughts made my heart clench. I even got into a verbal exchange about how awful things are with that woman. I lost my center and got pulled into negative creating. But I don’t want to be there. So I breathed deep and slow and readjust my focus, my mind and my thoughts. In my interview with Marina, she led a short meditation about pulling in the energy of love. This is not the small, convoluted, conditional love we often encounter in relationships. This is the big cosmic, heart expanding love. It’s what I go to Sufi camp to rediscover. This is the energy for manifestation. The more I practice, the stronger the neural networks become in my brain, the more steady and resilient my ability to create. So is it just a mind trick? More a heart trick. A very powerful one. How you make sense of the world, how you feel, creates your world. About Marina Ormes: Marina Ormes is a board-certified holistic nurse and an evolutionary astrologer with a 20 year background in astrology and holistic healing. She is the founder and creator of Astrology Heals and Manifesting with Moon Cycles. Her work helps visionaries, healers, and those who care about the planet understand who they more deeply are so they can live a life of meaning and fulfillment, manifesting what their heart most deeply desires.